The Co-Producers of Happy Hunting | Happy Hunting! The worlds first virtual television network – making stars of avatars. Treet TV is an entertainment network that serves virtual worlds viewers and producers. Established in March 2007, Treet TV uses a collaborative production model which has resulted in more than 3000 hours of broadcast quality content, all targeting the emerging phenomenon of virtual living. We work with talented people located all around the world who are creating events in Second Life, from fashion shows, to sporting contests and music performances. Shows are broadcast to audiences inworld on Treet TV enabled television screens, as well as live onto the world wide web. Find out more about treet.tv! Prim Perfect Publications is the media organisation behind Prim Perfect and The Primgraph Magazines, Designing Worlds and Metaverse Arts television shows (both on treet.tv) and The Quest for the Golden Prim web comic. Over the last three and a half years in Second Life, the Prim Perfect brand has come to represent professional, stylish and elegant media productions, with impeccably high standards in terms of content and design. Prim Perfect is a magazine for Second Life homes and gardens – with lots of wonderful articles about buying or renting your home in Second life, finding the best designers, choosing your furniture, arranging it to best advantage, managing your prim count, landscaping your garden and learning the latest news from the world of interior design. 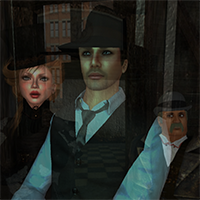 In addition, we visit the best commuinities and the most stunning landscapes of various kinds, all across Second Life. And periodically, we travel to other grids as well to see what is happening across the metaverse. In between issues, the PrimPerfect blog keeps you up-to-date with the latest news. Designing Worlds is the hit weekly show on design and designers in virtual worlds, broadcast every week by Treet TV, the leading TV network in today’s virtual environments. From its roots as a “meta-makeover” show, the programme has developed into a magazine/factual format, adding interviews and visits to some of the most impressive locations in Second Life and other virtual environments. Designing Worlds is presented by Saffia Widdershins, the Editor of Prim Perfect Magazine, and Elrik Merlin of Radio Riel. The show goes out live in 720p High Definition every Monday at 2pm SLT/Pacific Time and is repeated through the week on the Treet Lifestyle channel. Shows can also be viewed on the Treet Designing Worlds site and downloaded as podcasts via iTunes. Find out more about Prim Perfect! Pingback: Do YOU want to come to the filming of the very first Happy Hunting? | Happy Hunting! Pingback: Happy Hunting is filming today – so come and find out if you’re a winner! 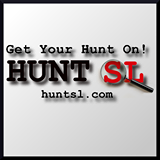 | Happy Hunting!